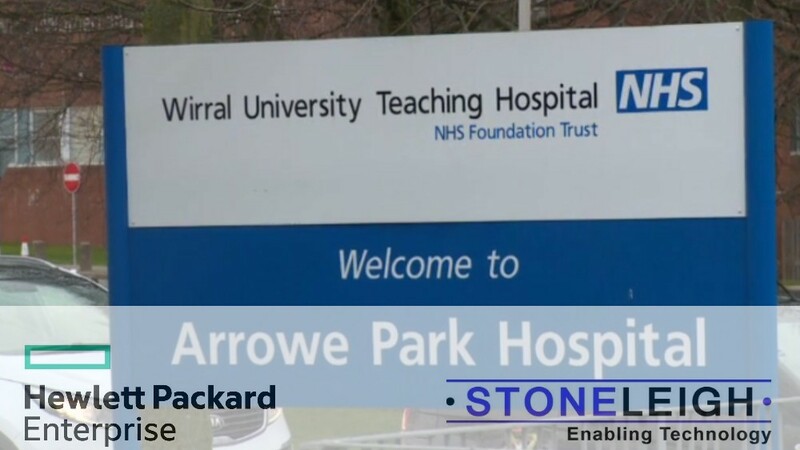 Created in 1992, Wirral University Teaching Hospital (WUTH) is an NHS Foundation Trust in North West England. The hospital relies on its network infrastructure to support their Cerner Millennium Electronic Health Record (EHR) application and share digital medical images via their picture archiving and communication system (PACS). If the network fails—or doesn’t have the capacity to meet demand—patients’ outcomes suffer with hospital staff unable to access required information in a timely manner. WUTH chose Aruba and HPE Pointnext to work alongside Stoneleigh Consultancy Ltd.—a longtime partner and local systems integrator with a focus on IT for healthcare— to build a new core network leveraging the proven innovation, availability, and scalability of HPE networking solutions. Stoneleigh had implemented WUTH’s previous network and not only had a close customer relationship, but strong institutional knowledge of the existing network. The design for the new solution improved and simplified the network environment with a focus on resilience and availability due to the critical nature of the environment. HPE Pointnext and Stoneleigh experts helped the WUTH team convert the initial solution design into a robust, implementationready design that would not only satisfy current requirements, but would also enable continued innovation for patient care. To ensure reliability and minimize downtime, the design included built-in failover with HPE Intelligent Resilient Framework (IRF) technology, enabling the use of the complete network bandwidth. “Partnering with the team from HPE Pointnext gave us the security of reduced risk, faster resolution of questions and issues with their direct access to HPE engineers, and they were able to provide the customer with both hands-on and informal training throughout the installation,” enthuses Tony Rutter, Director at Stoneleigh Consultancy Ltd.
HPE Pointnext, Aruba and Stoneleigh worked together to provide a complete network infrastructure upgrade at two of the hospitals managed by WUTH. This included implementing HPE FlexFabric 5900AF switches in the core and HPE FlexNetwork 5130 PoE+ switches at the edge, providing a consistent user experience right across the network. To solve network instability problems, the design included HPE IRF switch stacking, LACP active/active uplinks, power redundancy, and resilient L2 and L3 protocols. The solution also included HPE Intelligent Management Center (IMC) and HPE IMC Network Traffic Analyzer (NTA) Software for single-pane-of-glass network management, simplifying management and reducing complexity. To support highbandwidth applications and PACS, the design incorporated 20 GbE switch uplinks with 80 GbE core bandwidth. Other features of the design included support of Wi-Fi deployment using PoE and HPE IMC, support of IP telephony deployment using LLDP, PoE, Voice VLAN, and Quality of Service (QoS). HPE Pointnext focused on creating a complete solution with security in mind, including SSH, TACACS, and HPE IMC TACACS+ Authentication Manager (TAM) Software for administrator authentication and accountability.